All season facility. 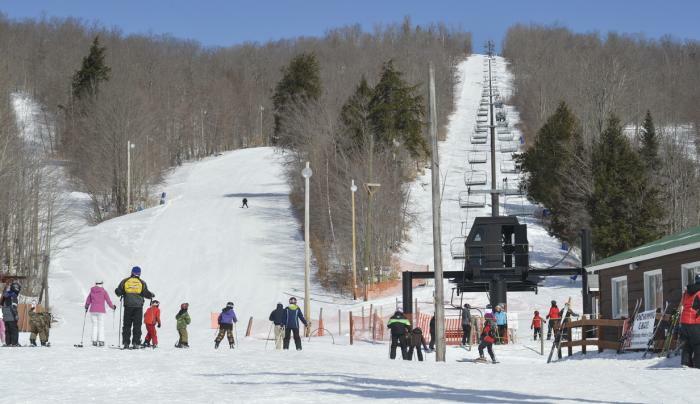 Winter: Family ski area w/quad chairlift, 2 T-Bars, night skiing, snow tubing, snowmaking, ski instruction, rentals and low rates. Open Friday - Sunday. Summer: Hiking trails and breathtaking views of the surrounding lakes and majestic forests from the top of the chairlift. Cruise down the burms and banks of the downhill mountain bike trail. Take in the relaxed atmosphere of the Oak Mountain Pub and Bar with a phenomenal selection to suit everyone's tastes. With live music that will always get you groovin', or a fun round of putt–putt golf, everyone is sure to create long lasting memories and have a great time!